The commemoration ceremony for the Children of Bullenhuser Damm will be on 20 April at 4pm in the school gym at Bullenhuser Damm. Every year relatives of the children from all over the world are among the guests. The ceremony is open to the public. Everyone is warmly invited to attend. A series of articles about Nazi war crimes in Bullenhuser Dam in the magazine STERN in 1979 was the beginning – following the traces and solving the murder of the 20 Jewish children and their attendants became the life’s work of the journalist Günther Schwarberg, who died in December 2008. It is thanks to his perseverance that the names of the children, attendants and doctors have not been forgotten. 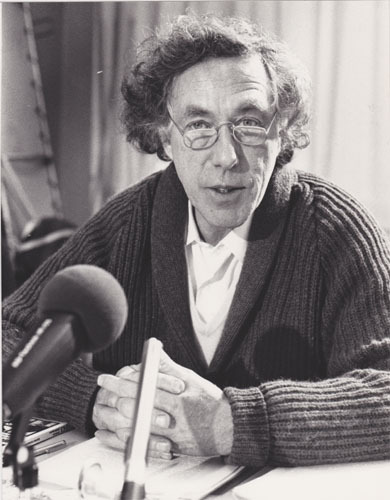 He and his wife Barbara Hüsing were the first Germans to be awarded the Anne Frank medal in 1988. 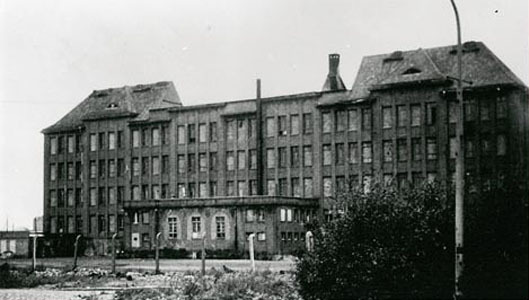 In the night from 20 to 21 April 1945, SS troops murdered 20 Jewish children and at least 28 adults in the basement of the building at Bullenhuser Damm 92-94. 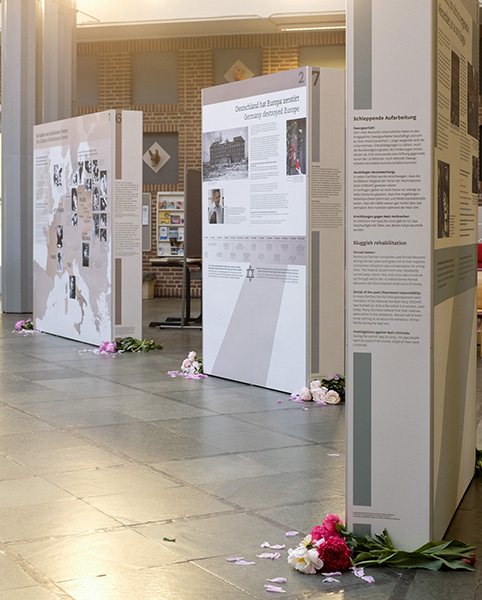 Before their murder the children, from Poland, Slovakia, Italy, France and the Netherlands, had suffered agonizing medical experiments as prisoners in Neuengamme Concentration Camp. In order to cover up the experiments during the clearance of the camp, the children had to die. Relatives of the children only found out about their fate many decades later – or not at all. Every year on 20 April many relatives from all over the world come to remember the children in the school at Bullenhuser Damm in Hamburg. 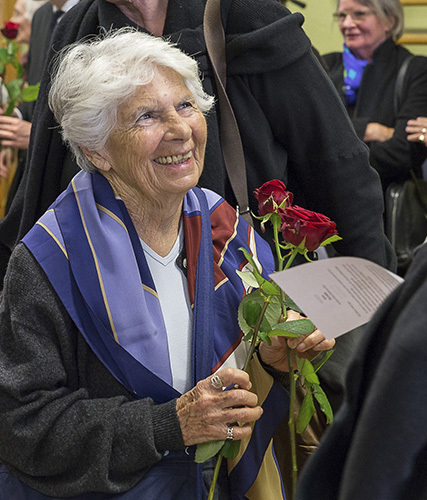 For 70 years, 85-year-old Grete Hamburg lived in the belief that her brother Walter died during a death march from Auschwitz. 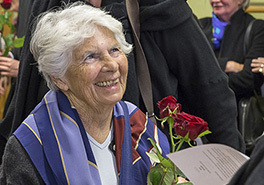 Grete Hamburg was a teenager when she survived the Shoa; today she lives near Tel Aviv. Less than 100 kilometres away in Haifa lives Bella Reichenbaum. She has been coming to the commemoration ceremony on 20 April in Hamburg for many years. After this year’s commemoration, Bella Reichenbaum returned home to Israel and set out to trace the previously unidentified boy, W. Junglieb. On a list of names of prisoners in a transport from Auschwitz to Lippstadt she discovered, in addition to the names of some of her relations, two women with the name Jungleib. 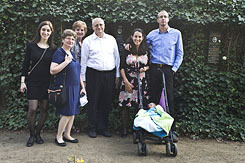 She was then able to contact the Jungleib family through the website of the Yad Vashem memorial. She found out that Walter Jungleib (the correct spelling) was deported to Auschwitz from Hlohovec in Slovakia. His identification is based on the similarity of the name, his age, and the fact that the name of his mother is included with the other mothers of the “20 children” on the deportation list for Lippstadt. 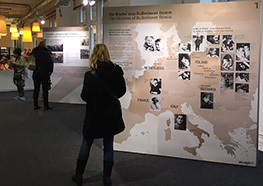 The Children of Bullenhuser Damm Association has put together a travelling exhibition for children and teenagers which can be loaned to schools and public bodies. After 70 years Grete Hamburg	learned about her brother Walter's fate, who was 12 years old when he was murdered at Bullenhuser Damm. On April 20th 2016 she visited the commemoration ceremony and the memorial at Bullenhuser Damm for the first time. The memorial is open every Sunday from 10am to 5pm. Entry is free.